A charity single recorded by a group of schoolboys for their classmate with cancer went straight to the top of the iTunes chart. 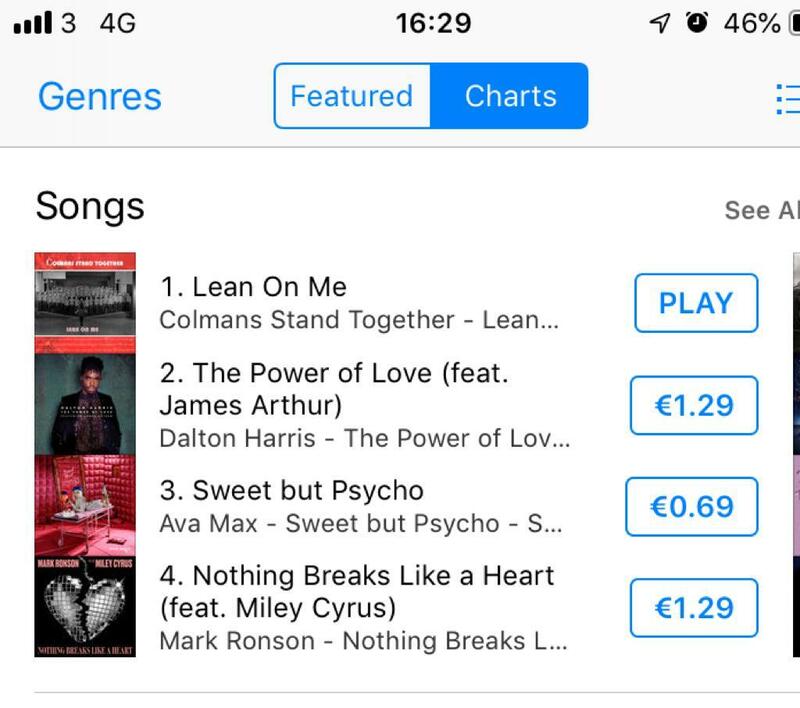 The cover of Lean On Me, recorded by transition year students at St Colman’s College in Fermoy, was released on Wednesday morning and within an hour or so had shot to the the top of the Irish iTunes downloads chart. “Everybody at St Colman’s College is so, so, so excited to be after reaching the number position on iTunes in Ireland literally not even an hour after the release of the download,” music teacher Sarah Barry, who has led the project, told the Press Association. 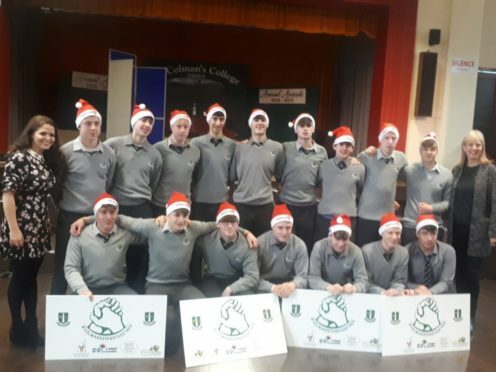 The money raised from the single will go to support the classmate of the boys who has cancer and Crumlin Children’s Hospital in Dublin, where he is being treated, as well as Ronald McDonald House and the national children’s ambulance service Bumbleance. The song was recorded last week along with a video, which is set to be released on Thursday, after the class suggested to Miss Barry they would like to do something to raise money. “The boys are just so supportive of their friend who has been diagnosed with cancer and is being treated at Crumlin Children’s Hospital at the moment so it’s an incredible cause,” she said. Miss Barry brought in producer Mark Cahill to help record the song and her own vocals also appear on the track alongside the boys, who are 15 and 16-year-old transition year students at the school in County Cork. She said that, aside from raising as much money as possible with the track, they were “aiming for Christmas number one in Ireland”. As of Wednesday, the track was holding off the likes of X Factor winner Dalton Harris and Mark Ronson to sit at the top of the iTunes chart which, unlike the singles chart, continues to update and change throughout the week.